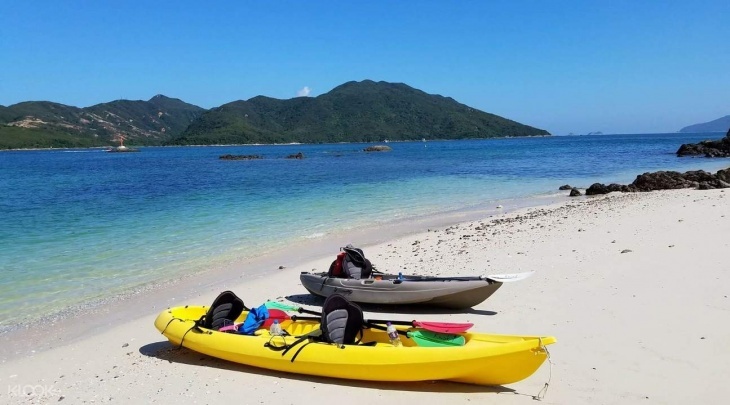 Spend two full days in the great outdoors with this kayaking and camping tour in Sai Kung's nature led by an experienced outdoor guide. Set up camp along the white sand beach and take in unobstructed views in the incredible nature of Hong Kong's Global Geopark. Kayak along the crystal clear waters, swim out in the open sea and learn how to cook in the wild with very minimal resources - the perfect "island survivor" starter pack. The two full days allows you to take in nature and learn how to live in the 'wild' while still providing you with a comfortable and relaxing time - an ideal quick escape from the city.